Sierra Leone Freetown Orphanage run by British Miriam Mason Sesay. On the outskirts of the orphanage a building where newly arrived children must stay in quarantine for 21 days. 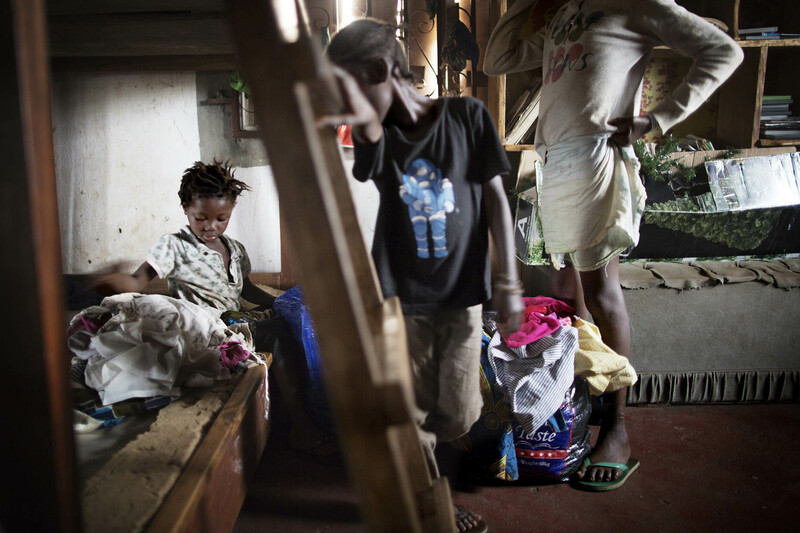 The children come from homes with Ebola infection and most of them have lost their parents and relatives. The local heros in Sierra Leone have been fighting the Ebola-virus for a year now. Since the outbreak of Ebola in the country in May 2014, more than 100 health workers and 11 of the country's doctors (out of 120 doctors) have died. A total of approximately 3.500 people have died because of the Ebola-virus. The number of cases has been falling steadly, and the daily life is about to return to normal, with fewer restrictions on trade, border-crossing and gatherings.